With the debate over guns in schools at the forefront again after 17 people were killed at a school shooting in Parkland, Florida, a national teacher's union head and a local politician have differing views about arming teachers. WASHINGTON — Sitting in her office minutes before leaving for Florida to visit teachers at Parkland High School, National Education Association President Lily Eskelsen-Garcia was moved to tears talking about the actions taken by teachers during the chaotic moments there Wednesday. Eskelsen-Garcia is the head of America’s largest teacher’s union, and a former teacher herself. She said the shooting in Florida that killed 17 students and staff members is another moment to question why so many firearms are accessible to so many people. And when someone opens fire on students, she said, teachers will give their lives for their students. “There’s evidence that teachers actually shielded kids with their bodies,” Eskelsen-Garcia said. “There are some things you can’t rely on a politician to do. 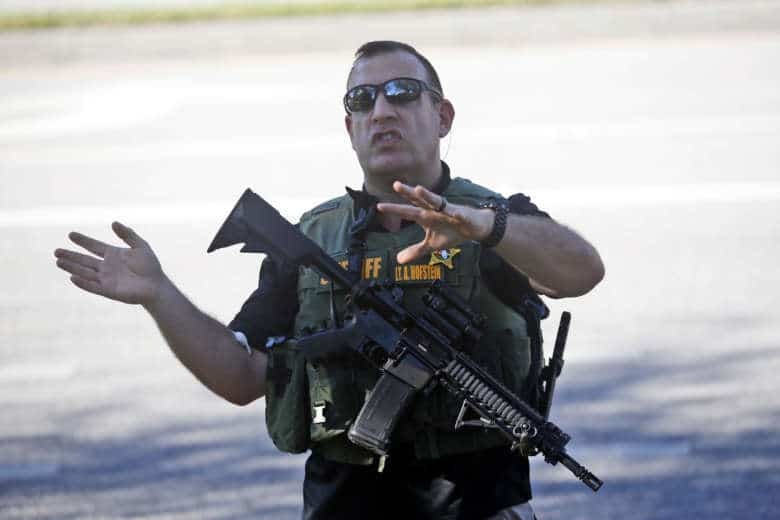 “The reason for a lot of these kinds of firearms are to kill as many people as possible …. So in the end we know it’s up to us that, no matter what happens, it’s up to us to protect those students,” Eskelsen-Garcia said. The union chief vows to try to pressure lawmakers on Capitol Hill to enact stricter gun laws. But some lawmakers are ready to tell her that the laws are already too strict. Prince William County Board of Supervisors Chairman Corey Stewart is one of them. Stewart, who is running for a US Senate seat, wants trained teachers to have the option to carry concealed weapons on them during class. “If there is an active shooter inside the school, at least there will be somebody [there] who is going to be able to defend themselves and defend the students,” he said. Stewart’s proposal is strictly about giving teachers comfortable with firearms the option to carry them. But Eskelsen-Garcia said that would only lead to more problems. Eskelsen-Garcia said the recent shootings at a country music concert in Las Vegas and the Christmas party in San Bernadino, California, show that people are vulnerable any place they are gathered. “What we want to do is to challenge people who have been so resistant to looking at any kind of change in safety,” Eskelsen-Garcia said.